If you’re like most people, you’ve heard plenty of millennial stereotypes already. 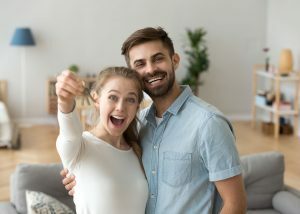 They’re amusing but exaggerated, so instead of dwelling on those, let’s skip to something more interesting: actual facts about millennials and their homebuying behaviors. Whether you’re a home-hungry millennial, a real-estate agent, or a homeowner looking to sell to a wider demographic, these are some things you need to know about millennials and homebuying. There’s a slew of statistics about the millennial home-buying slump. NPR notes that “the percentage of people younger than age 35 who are homeowners went from 42 percent a decade ago to just a little more than a third now.” That is true, but it’s not the whole story. Compared to pre-recession 2006, all age groups showed lower levels of home ownership in 2017. The number of 35- to 44-year-old homeowners dropped about 10%, just like those 35 years and under. So yes, millennials are slower to buy, but so are most consumers. It makes sense, as recent years have shown a 48% rise in home prices but only a 15% rise in average income. Despite that, plenty of millennials are investing in property. In fact, 38% of millennials say they would like to buy within the next two years. Some of the nation’s best minds are optimistic that millennials will continue to play a large role in the housing market. Ted Gayer, a Brookings Institution economist, expects rising rates of homeownership due to the sheer size of the millennial generation. Hovering around 82 million, they’re an even larger group than the Boomers, which bodes well for continued housing growth. What’s the cause of this millennial lateness to the homebuying game? It could be the down payment: 49% of millennials who rent believe that they must put 20% down to buy a home. It seems that too many millennials are making mediocre decisions about down payments, either postponing a purchase because they think they can’t qualify or jumping into one with insufficient funds. The same study of millennial renters found that the biggest motivation to buy was “having enough money saved.” How much is enough, though? It’s a big question that millennials may need help answering if they’re going to be happy about homebuying. According to some of their stereotypes, it’d be easy to jump to conclusions about where millennials want to live. One survey found that 54% of millennials considered cost of living the most influential factor in where to buy a home. This makes sense, considering the financial difficulty of saving a down payment, preparing for a monthly mortgage, and making the most of an average income. Other factors include job opportunities, closeness to family and friends, and proximity to good schools and cultural experiences. Be Cognizant of Budgets—Knowing that millennials are anxious about financing, real estate agents should be respectful of and realistic about budgets. Sale time and client loyalty are on the line. Stay Available—Real-estate agents working with a largely millennial clientele should be available through modern means. If the popularity of homebuying apps is any indicator, lots of millennials would prefer a text or email rather than a phone call. Highlight Connectivity—Whether it’s for teleconferencing or streaming a family flick on Netflix, millennials prioritize connectivity. If a property gets a connection that can support lots of online activity, or if it’s in a high-service area for multiple cell providers, the listing should advertise that! Know Your Niche—Finally, drop the stereotypes. Millennials are a vast and varied group, so the more specific a listing is to a target buyer, the better. A career-driven couple in their mid 30s will be looking for different properties than parents in their early 20s. Even in places like Florida, which may not have a reputation for being a young buyer’s market, millennials are looking for homes. With the tips above, Realtors® and sellers can make the market much friendlier to millennial clients. Written by: Guest Blogger Hilary Bird! Hilary Bird writes about the things that fascinate her the most: human behavior, new tech, and how they impact each other. She is an avid writer for multiple tech and lifestyle publications, including VentureBeat and MediaPost.